Here is a great example showing correct placement of your OL12 Onion Lanterns. This is an important factor when installing a doorway lantern. Here the onion lanterns sit at a height even with the finish trim around the doorway and not too close to the door. Thus it creates an overall appealing aesthetic look. Hammerworks reproduction handcrafted Copper Onion Wall Light OL12 while one of our larger styles is a practical and functional choice for any setting. Most importantly you can easily coordinate with Onion Post Lights POL12 or Hanging Copper Onion Lights HOL10. 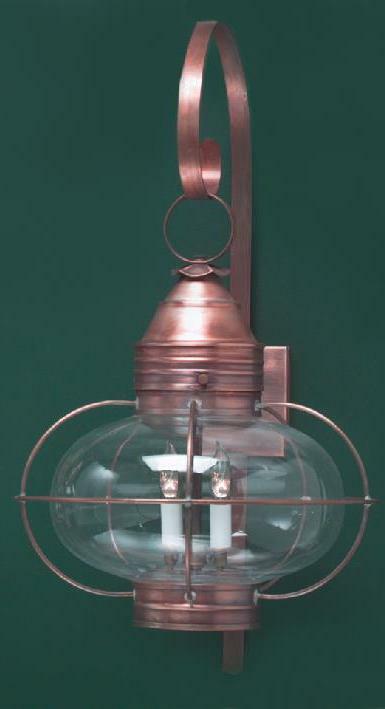 In addition we always handcraft Colonial Onion Wall Lights from solid copper or solid brass. Since our Onion Wall Lanterns are made in several sizes you will find one just right for your space. Furthermore you can use them in both indoor & outdoor settings. 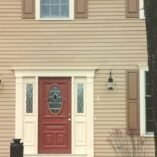 Therefore while most often placed on your home’s exterior, interior uses abound. This includes any room from entrance halls to bathrooms. Simply put, a Colonial Onion Wall Light can be used wherever a light is needed. As an added bonus the simple yet attractive design blends well with a multitude of decorative styles. 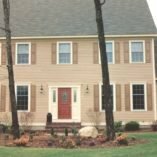 For your convenience Hammerworks creates Colonial Onion Post Lanterns or a Hanging Onion Lantern to coordinate with any Copper Onion Wall Lantern. Most importantly they can withstand harsh weather conditions and will not rust or corrode. The simple design of Onion Lights lends itself to a variety of home styles. Whether you are decorating a classic Cape Cod Cottage, New England Farmhouse or seaside Early American Antique Home you can’t go wrong with this quintessential style. No matter the quantity, size or style we have all of the Colonial Onion Lights to meet your needs. Most importantly we offer an assortment of Colonial Post Lanterns to complement any Copper Onion Wall Light. 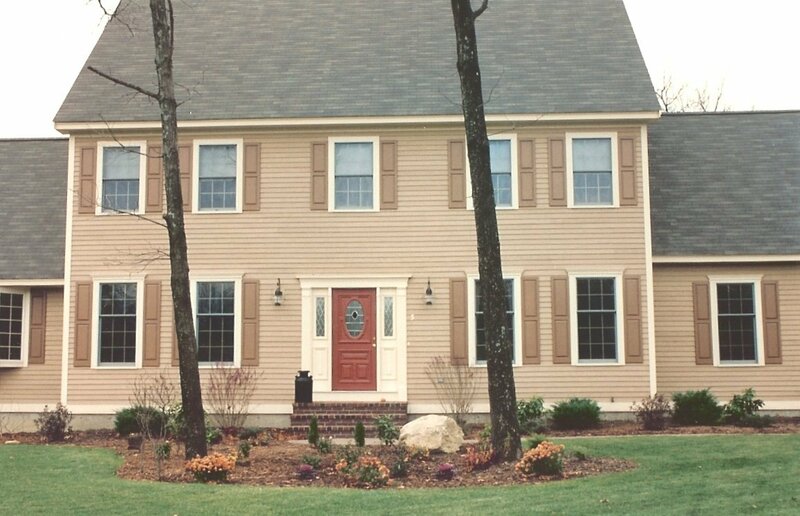 You will always be pleased with Colonial Post Light Williams PW103 or Cape Cod Style Post Lantern Garrison P110. 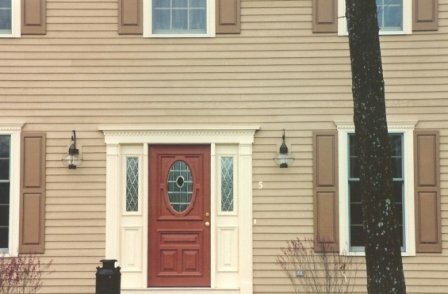 Any rustic style Reproduction Colonial Post Lantern you choose will add curb appeal to your home or commercial building. Finally, Hammerworks exceptional quality will last for generations.